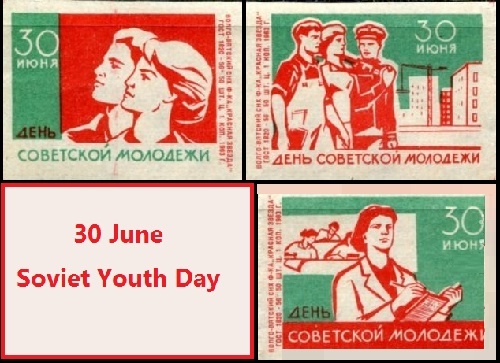 30 June – Soviet Youth Day, favorite holiday of all young people in the USSR, still celebrated in every city and town of Russia, Belarus and Ukraine. 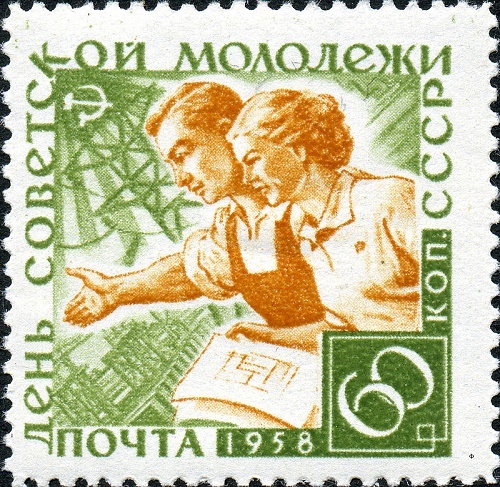 The history of the “Soviet Youth Day” dates back February 7, 1958, after the Decree of the Presidium of the Supreme Soviet of the Soviet Union “On Establishing Soviet Youth Day”. That decree ordered to celebrate Youth Day every year on the last Sunday of June. 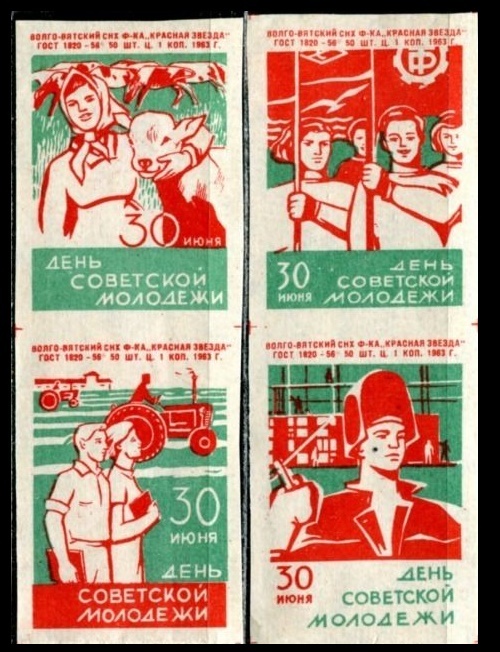 The Central Committee of the Communist Party of the Soviet Union put the main task for the festive events on the All-Union Leninist Young Communist League. At that time, as all the administrative units of the Soviet Union of Soviet Socialist Republics celebrated “Day of Soviet Youth” together, but after perestroika and the collapse of the Soviet Union, the situation has changed. 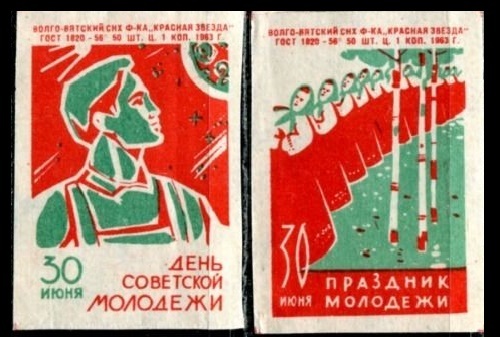 Since independence, some former Soviet republics transferred this feast to the next day, some have changed its name, and some have abolished it. However, there are those who sought to preserve the best traditions inherent in the rule of the Communist Party. Due to this, at the moment, on the last Sunday of June the Day of Youth is celebrated in Belarus and Ukraine. 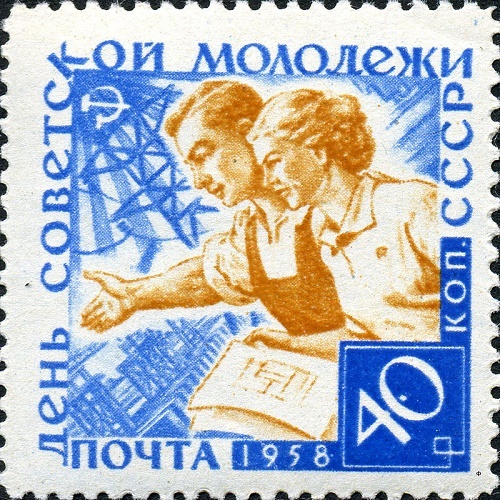 On this day, festive parades, concerts of local and visiting artists, various quizzes and contests, sports competitions with elements of humor (eg sack races), in the evening – huge bonfires near which the young people, musicians and bards performed patriotic and friendship songs … Also, “Day of the Soviet youth” summed up the achievements in the sphere of state youth policy, and provided a variety of support for promising young professionals. The legal successor of the USSR – the Russian Federation moved “Youth Day” on June 27 (by Russian President Boris Yeltsin), although in some cities, the main celebrations are held “in the old” style – on the last Sunday of June, together with Belarus and Ukraine.